Blogs inventorying the body scrubs and bags of personal medicine cabinets and closets entice readers with the diverse styles of those profiled. While the daily beauty routine for ourselves becomes monotonous, the lifestyle of others continually piques our curiosity. Artists seek to visualize a bit of themselves, like these profiles, through depictions of their studios. 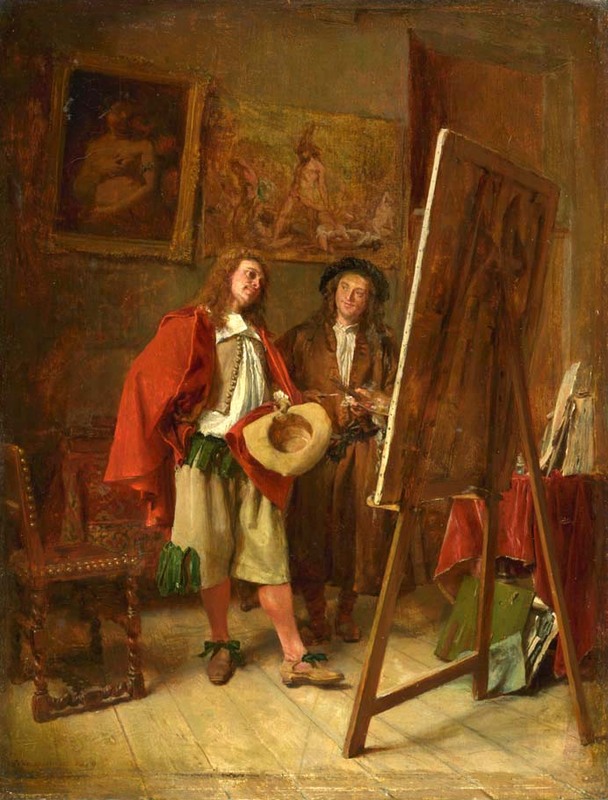 Jean-Louis-Ernest Meissonier, Connoisseur at the Artist’s Studio, Oil on panel, Schiller & Bodo European Paintings. Click to inquire. Blogs inventorying the body scrubs and bags of personal medicine cabinets and closets entice readers with the diverse styles of those profiled. While the daily beauty routine for ourselves becomes monotonous, the lifestyle of others continually piques our curiosity. Artists seek to visualize a bit of themselves, like these profiles, through depictions of their studios. 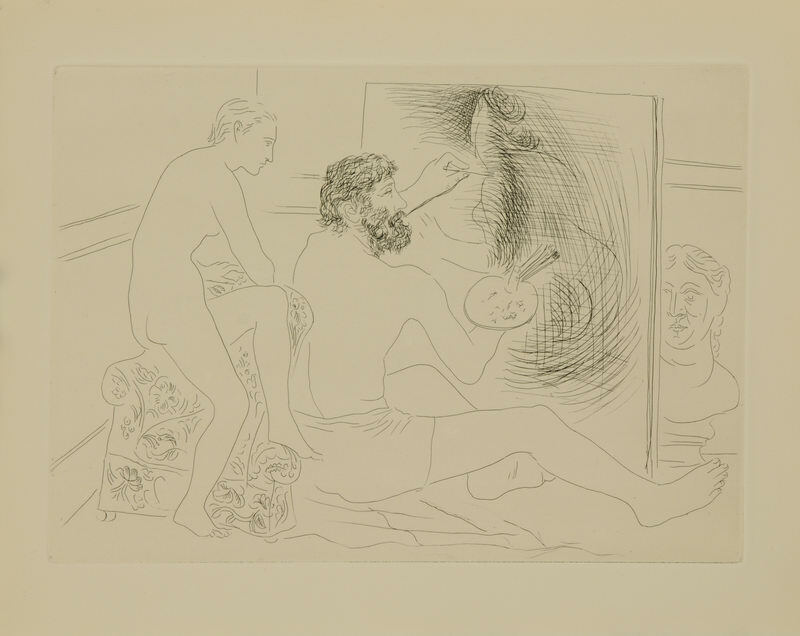 Pablo Picasso, Le Chef D’oeuvre inconnu-peintre au travail observeé par un modèle nu, Ethching, Galerie Michael. Click to inquire. In Gustave Courbet’s The Artist’s Studio (Musée D’Orsay), the artist is surrounded by the muses and allegories of the history of painting. As the venue for creation, the studio, like the closets or medicine cabinets, reflects his identity as an artist. 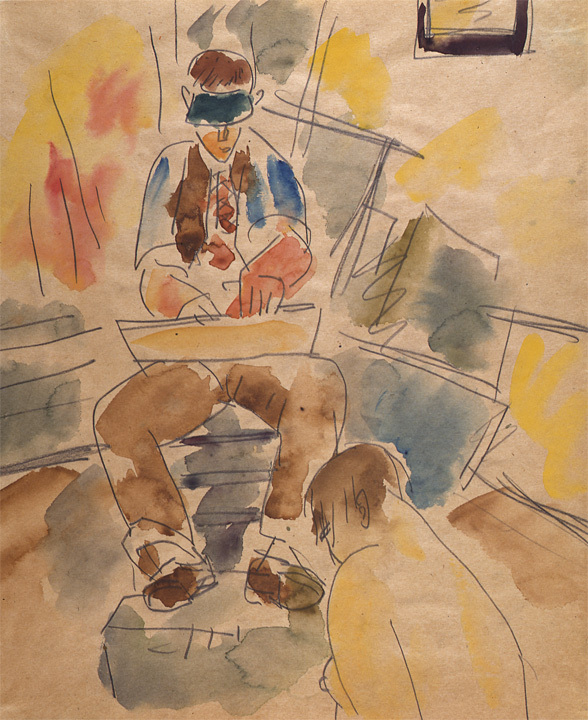 Edward Hagedorn, Self Portrait in the Studio with a Model, Watercolor and graphite on paper, Denenberg Fine Arts. Click to inquire. 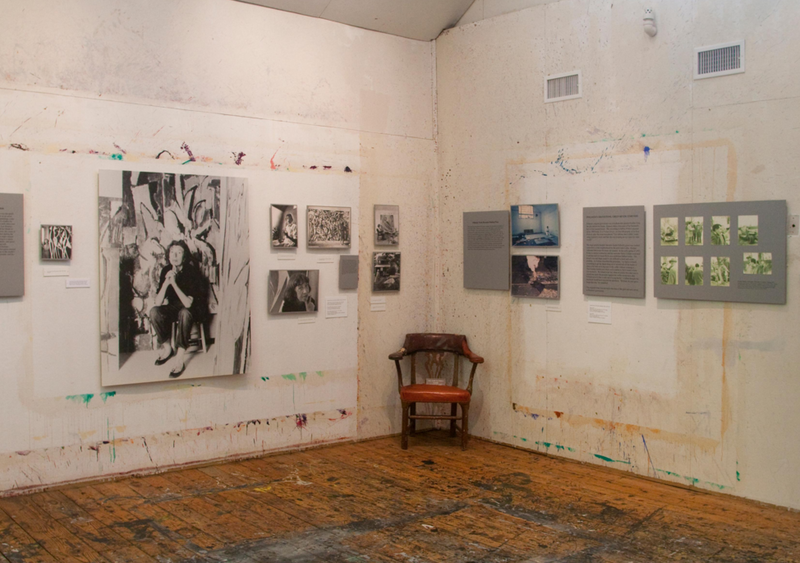 Today, many artist studios are preserved as historical buildings. Visitors to Pollock’s Long Island studio enjoy the wood-staining splatters from his paint that did not make it on to his canvases. As physical evidence of the artist process, the studio, like other studio spaces, reinforces the authenticity and unique style of Pollock. Elsa Zambrano, Van Gogh (Imaginary Museum Series), Beatriz Esguerra Art. Click to inquire. 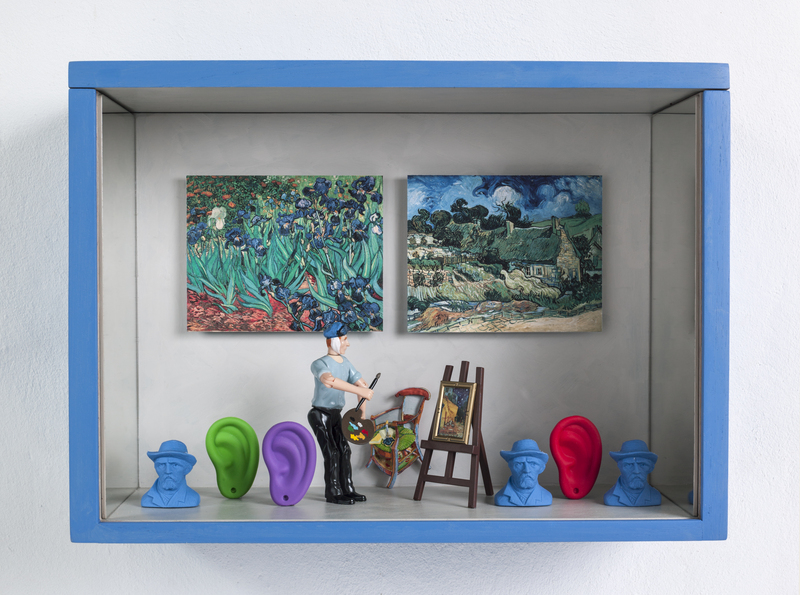 Viewing FADA’s inventory of depicted artist studios, like Zambrano’s Van Gogh (Imaginary Museum Series), accessorized with his bandaged ear, brokers an audience’s intimacy with an artist’s practice...and their humanity. 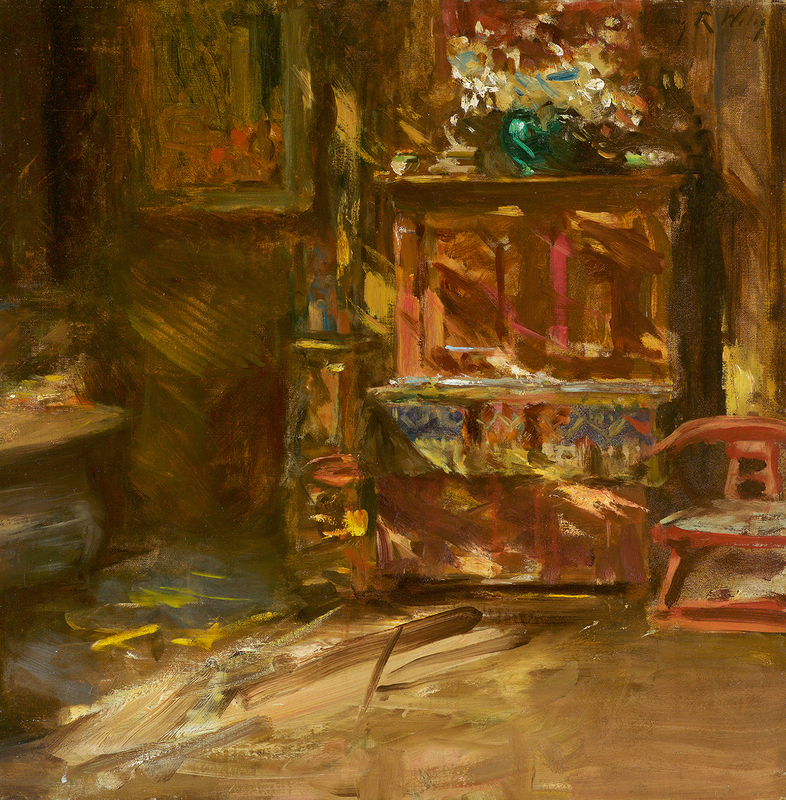 Irving Ramsey Wiles, Sunlit Studio, Oil on canvas, Questroyal Fine Art. Click to inquire. 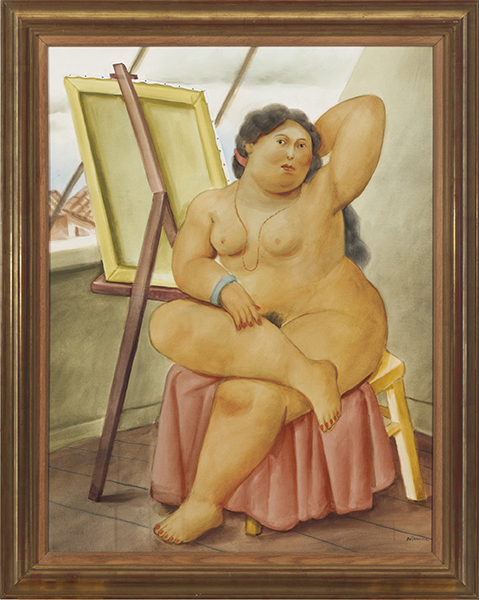 Fernando Botero, The Model, Watercolor and graphite on paper, Rosenbaum Contemporary Gallery. Click to inquire.